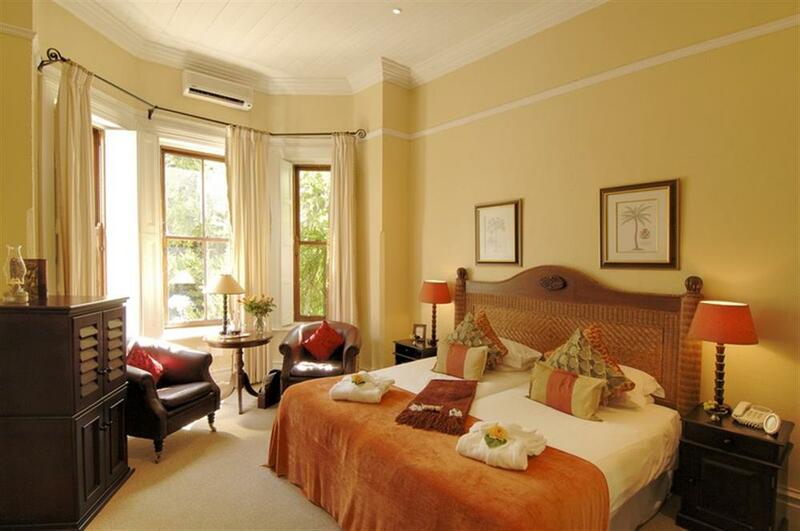 River Manor Boutique Hotel & Spa is a graciously restored hotel located in the heart of Stellenbosch. The hotel is an ideal base for exploring the Western Cape and its renowned Winelands. Standard Rooms at River Manor offer comfortable accommodation with en suite bathrooms with bath or shower. The Superior Rooms have fresh flowers, complimentary sherry trays and homemade mini bar snacks. The bathrooms are spacious and elegant with a Victorian bath. All rooms have air conditioning, satellite television, mini bar facilities and snacks, safe and hair dryer. Petite Rooms have all the luxury and comfort of the other room types but are smaller, available only as a double, and are en suite with a shower. Stellenbosch is renowned on Cape wine routes; the surrounding vineyards are home to award winning wines, wineries and cellars. Centrally located, Stellenbosch offers a wide range of opportunities and excursions from game viewing to wine tasting and cellar tours.